Looking to upgrade to a more luxurious ride? In Nebraska, you’ll find plenty of luxury car dealerships that provide the best quality vehicles on the market and knowledgeable staff to fill you in on all of the top features. If you’re ready to find true opulence, check out these 10 incredible luxury car dealerships in Nebraska. Jaguar Omaha is a family-owned business that has been operating for nearly 80 years. The dealership offers a vast array of new and pre-owned Jaguar models, all of which have been thoroughly vetted for quality. Husker High Line offers luxury cars for sale from its two Lincoln dealerships: Husker Mercedes Benz and BMW of Lincoln. Both of the dealerships are leaders in the area and provide an exceptional selection of new and used luxury vehicles. H&H Premier Automotive is a luxury dealership in Omaha that represents BMW, Land Rover, MINI, and Jaguar vehicles. The dealership also features a fully-equipped body shop and service center. INFINITI of Omaha has served the city for more than 25 years and is a full-service dealership that offers a complete lineup of the latest INFINITI models as well as an expansive selection of pre-owned vehicles. Husker Auto Group in Lincoln is one of the leading Mercedes-Benz deals in the area. The dealership offers terrific luxury cars and SUVs and the showroom always features the latest Mercedes vehicles. Mercedes-Benz of Omaha serves Omaha and the surrounding areas with top-notch customer service and the latest Mercedes-Benz models. Their extensive inventory includes both new and pre-owned vehicles for all styles and tastes. This is the premier Lexus Plus dealership in Lincoln and offers the ultimate car-buying experience. With a new building, the dealership features a coffee bar, customer workspace with Wi-Fi a game room for children, and world-class service and advice for owning and driving a Lexus. Whether you’re looking for a new or pre-owned car, truck, or SUV, Cornhusker Honda in Grand Island is a luxury car dealership that offers a great selection of luxury vehicles to choose from. Set up a test drive on-site, browse their selection online, or stop in for new parts, this full-service dealership has it all. Gorges Volvo Cars is dedicated to providing the best service to anyone who visitors their showroom, where they offer new and pre-owned Volvos as well as everything Volvo owners need to service and maintain their vehicles. If you’re looking for a new or used BMW or SUV, BMW of Omaha is your place. 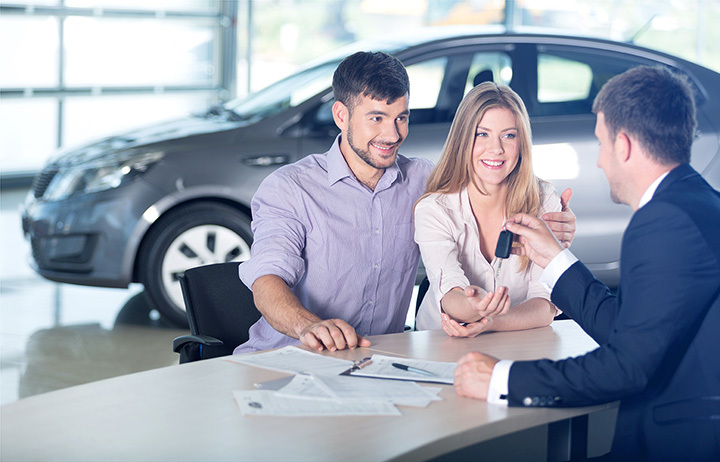 The dealership offers a huge selection of vehicles to choose from and they will help you research and find the vehicle that is right for your needs.